Robert Sarkies adapts his brother Duncan’s novel in his latest film, a black comedy about two mullet-sporting bogans who find their friendship put to the ultimate test after one of them kills a Norwegian backpacker named Juergen (Filip Berg) in a freak road accident. 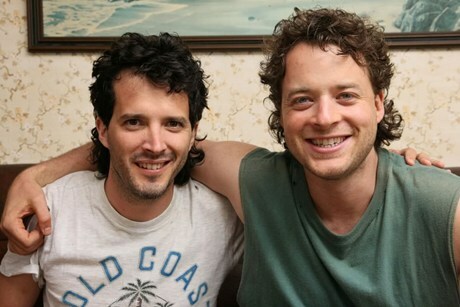 Nige (Bret McKenzie) and Deano (Hamish Blake) have been best friends since childhood. Their epic bromance began on Nige’s first day at his new school, when Deano let him sit next to him in class. Their bond extended long into adulthood, with Deano assuming the role of older brother to Nige. The two did everything together, including living together as flatmates, but in the process became unsettlingly overfamiliar. One day, Nige woke up to the sobering question of whether this is all there is to life. His concomitant crisis precipitated the breakdown of their friendship. Nige asserted independence by leaving Deano and moving in with a good-natured, obese Maori named Gav (Maaka Pohatu). After Juergen’s death, however, Nige is forced to seek Deano’s help in disposing of the corpse without Gav’s knowledge. Nige, Deano and Gav embark on a wincingly awkward road trip through the Catlins, where Deano’s possessiveness towards Nige reignites their former conflict. The trip becomes a painful but necessary journey for both of them. Two Little Boys has all the makings of a classic New Zealand comedy but lacks the savage funniness. Fans of the nation’s particular brand of black humour, epitomised by films like Braindead (1992), Black Sheep (2006) and Eagle vs Shark (2007), will be sorely disappointed. Like many Kiwi comedies, the film sets ludicrously grisly scenarios against beautiful vistas, but it distinguishes itself by taking crudity to another level. It goes too far and becomes insufferable to watch. The film’s humour resembles a madly esoteric, jet-black and bogan-specific version of Stepbrothers’ (2008) man-child humour. Gags riff on random topics like corpse disposal, human dismemberment, Norwegian football, flatmate infidelity and murder conspiracy. The Sarkies brothers don’t channel their energy into one specific type of humour, but write individual jokes that hardly ever provoke laughter, only the audience’s exasperation. McKenzie and Blake both fail to amuse, though much of this could be attributed to the lines they were given. The film’s greatest problem is that it meanders wildly, drifting in and out of so many moods and ideas that the viewer is left perplexed as to how to respond. 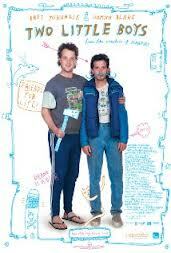 It is by turns an inaccessible black comedy, an absurd road movie and a disturbing drama about two oblivious bogans. It is a restless and shapeless mess.